→What Is Beef Consomme? And Is It Good? What Is Beef Consomme? And Is It Good? Cuisine trends come and go, and lately the eye of the food world has been on something called beef consomme. Made from bone broth, this dish is fancy, flavorful and sometimes rather difficult to make. But exactly what is beef consomme, and is it any good? Is there only one way to prepare it? Is it the same as beef broth? 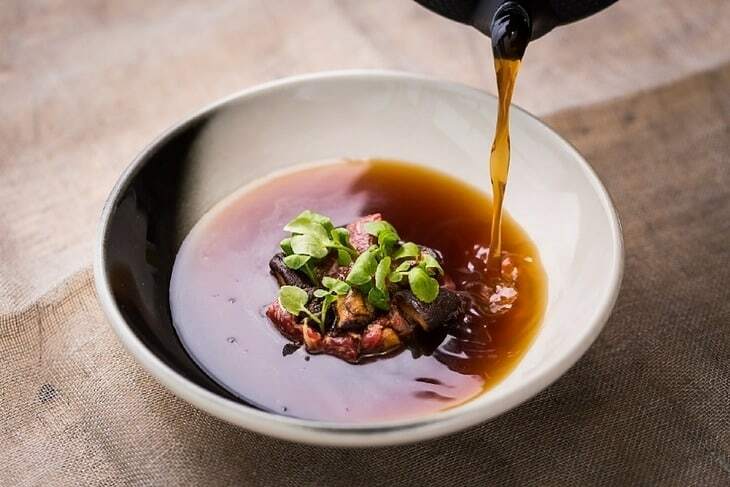 More in this article on beef consomme, we'll give you some tips and tricks for making your own version of this savory soup dish. Keep reading untill the end to get all of your answers about beef consomme and learn how to make your own one. For a dish that's actually nothing more than a clear soup, it's hard to believe the amount of work that goes into making beef consomme. 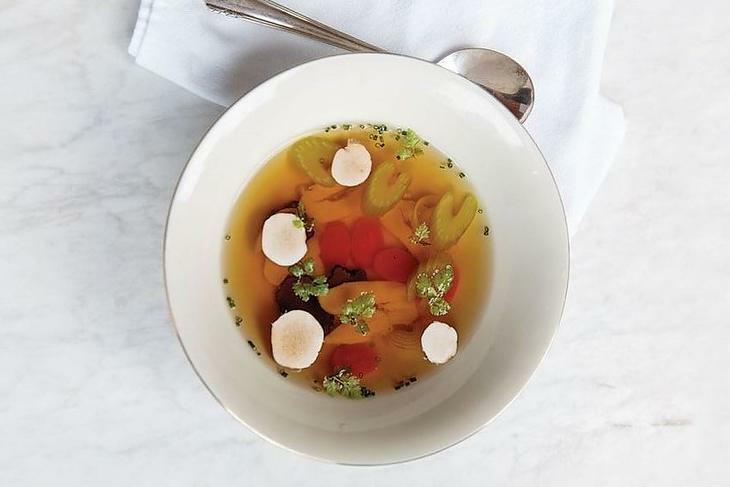 It takes hours of preparation to make this richly flavored broth, but to answer the question of its deliciousness, yes, beef consomme is extremely tasty! That's likely why it's been around for centuries and is still served today. Most people know that broth or chicken soup is a usual remedy for those who are feeling under the weather. Soup just seems to be the prescription for the ill, and consomme is the queen of all soups. After all, it's hard to have a soup without a broth! According to culinary history, consomme is the traditional term for a particularly made broth since the 1500s. The verb "consommer" in Fr﻿﻿ench means to consume or eat. The French have another word that they sometimes use interchangeably for the dish of consomme as well: pot-au-feu. In English literature on cuisine, the word "consomme" first made its appearance in the early 1800s. Today, some people may use the term loosely to refer to bouillon, broth or stock. However, this is not quite correct because consomme contains the unique ingredients of egg whites, and in some cases, it will be rendered via a unique process called gelatin filtration. Neither of these things are generally used when making a simple broth. 1 chopped white onion and 1 whole onion. A cup and a half of chopped tomatoes with seeds removed. 2 1/2 quarts of homemade beef broth. 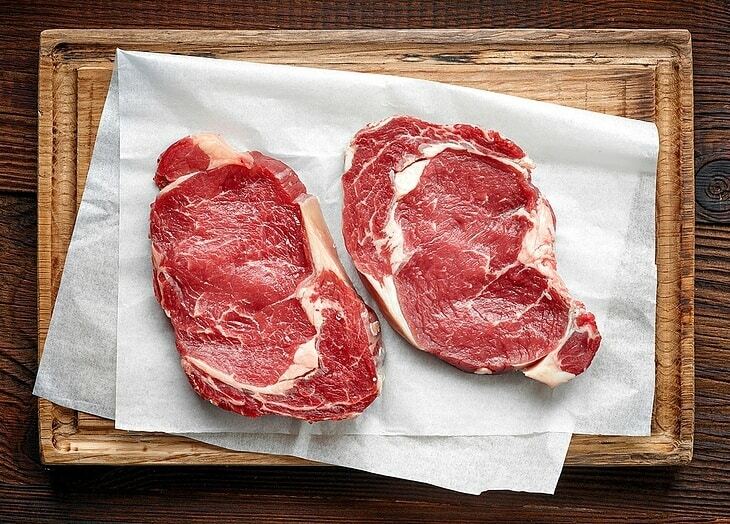 The beef need to be lean, so shank, shoulder and neck will be the best. ​Homemade beef broth cannot be simply substitued by store-bought beef stock. You will want to make this on your own. A great video below explains how to make easy and tasty beef broth at home. You might want to think about investing in a quality stockpot to help make the process even easier. You'll use the whole onion to make an onion brulee. If you've never heard of an onion brulee, this refers to one onion cut in half with the skin left on and fried in oil until browned and almost burnt on the cut sides. It helps to enhace the color of your stock and consomme. ​Cut the onion in half. 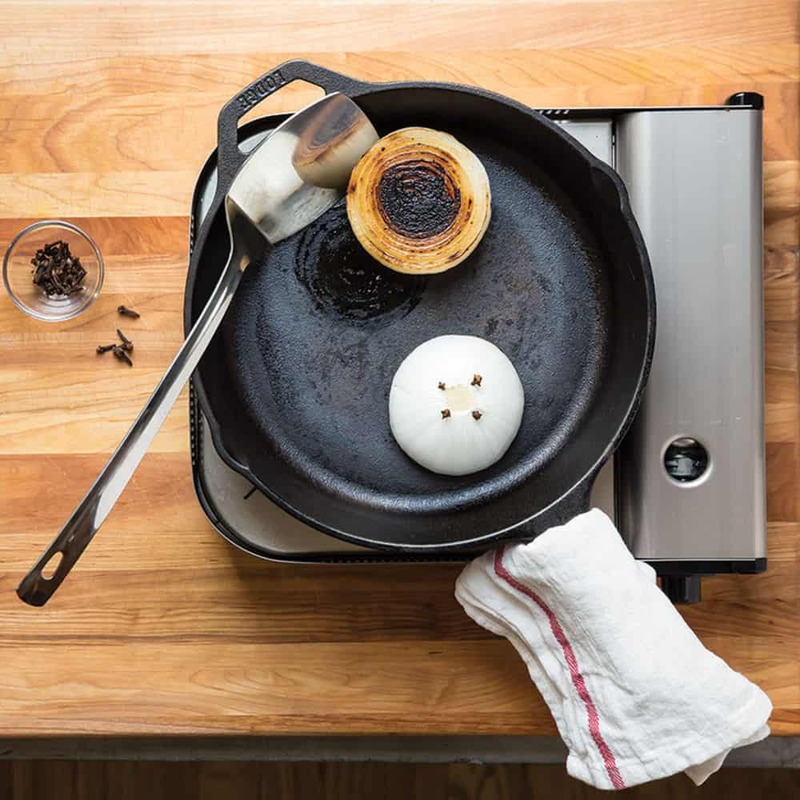 Melt a small amount of butter in a skillet over medium heat. Add the onion, let the cut side down. Let it cook until the surface caramelizes 8-12 minutes. 3 stalks of fresh parsley. 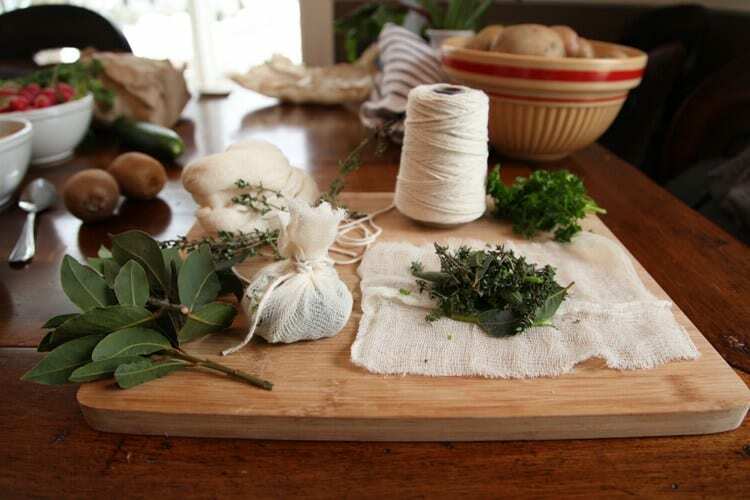 For a typical bouquet garni, you can simply wrap your herbs together with string, but because this bouquet garni contains peppercorns and garlic cloves, you'll want to create a small sack out of a cooking sachet like this one. If you still confuse between tablespoon and teaspoon, learn more at How To Measure Ingredients Precisely. The steps to making beef consomme can be easy or complicated depending on your ultimate aim. Let's start by discussing the easy method. Add all the ingredients into the pot. Whip the egg whites until frothy and add them to your stockpot as well. Bring to a simmer. 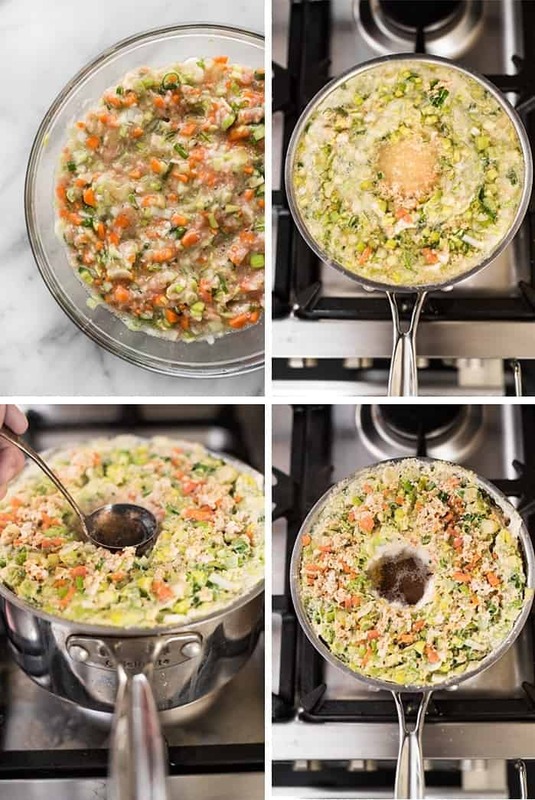 The consomme should simmer until you get a raft, which is when the meat starts to float. Make a hole in your raft. Most of the solid ingredients will be floating at this point. Use a spoon to move some of the floating solid ingredients to the side. The rest of the raft should stay intact, allowing the liquid to bubble up in this open space. Simmer the entire pot for about 30 to 60 minutes. When it's done, strain the mixture with cheesecloth to get a clear broth. You may choose to garnish with salt, snow peas or carrots. Alternatively, you can cook your consomme as usual but use a gelatin filtration process to create an absolutely clear liquid that has slightly less fatty flavor and more purity. 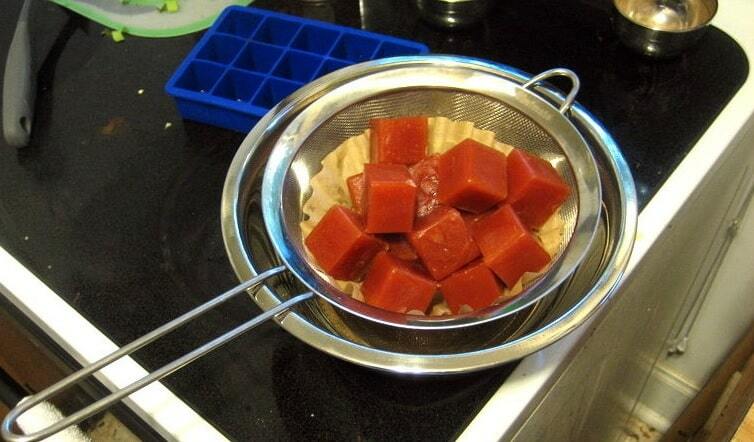 Add gelatin or agar to your cooked and strained consomme then freezing it in cubes in your freezer. The gelatin will trap all of the solid portions of your consomme, and they will not freeze, but the liquid will. Use cheesecloth to remove and thaw the cubes of consomme in the fridge until the liquid portion of the mixture has all been strained through into a container. This may take up to two days of thawing, but it produces an ultra-clear liquid that contains only water and molecules of pure flavor. Always make your own beef broth. Invest in a nice stockpot. Buy some small sachets for the herbs before you start cooking. And you're ready to make beef consomme! Do you feel like you know everything about beef consomme now? Please let us know what you think of the article in the comments below or ask any other questions!